A satin waistband and side stripes polish the tuxedo vibe of tapered stretch-wool pants, giving you a smart alternative to traditional cocktail-hour style. Color(s): black. Brand: After Six. 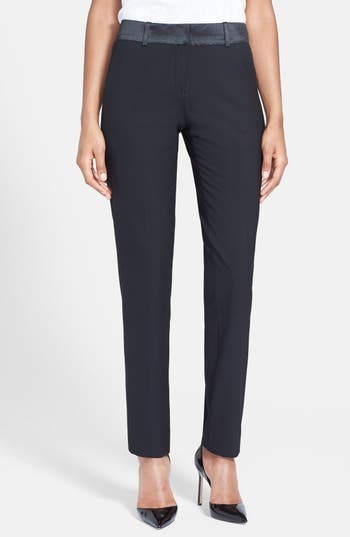 Style Name: After Six Stretch Wool Tuxedo Pants. Style Number: 472395. Available in stores.